This weekend was a good one. A really good one. We were in town, had a lot of fun, made some great memories, and even made some progress on all the projects around our house. Not a ton, but every little bit counts, right? Saturday we had a lazy morning and slept in really late. Well let’s backtrack. Friday night MG was up all night screaming, so of course Tom and I were too, so we all slept in once she finally went to sleep. Once we were finally up and moving around we did a home depot run and managed to get some stuff done around the house while MG napped. Our yard has been a mess so even though it was seriously hot outside we tackled some of our weed problem. 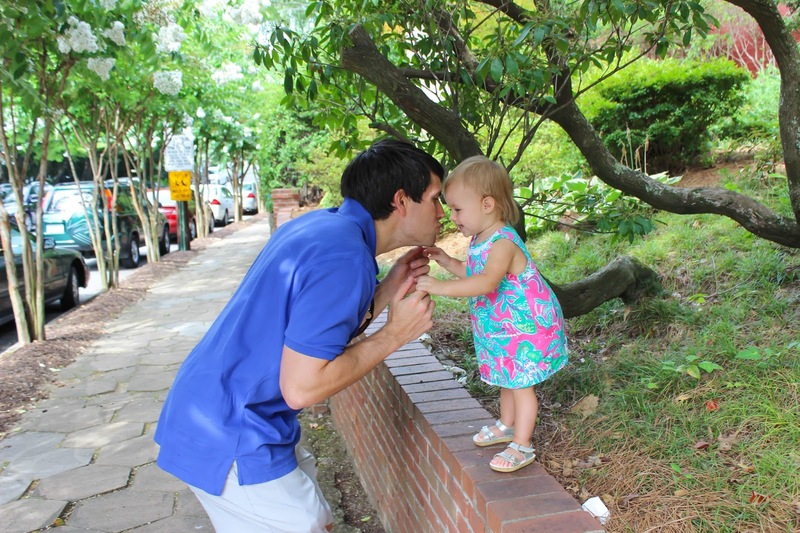 But we didn’t spend too long on this because we were headed to the Atlanta Street Food Festival! We could tell we we weren’t quite prepared for what we were getting ourselves into with the festival when we hit the traffic getting close to it. It was out of control. We were lucky enough to find street parking and walk over but the whole park was packed, and the lines for all the food trucks were insane. We still had a good time though. We met up with friends, found a truck with a shorter line but that still had delicious food, found a spot to put down blankets and hung out. Afterwards I needed dessert though so we went to Shake Shack in Atlanta’s Buckhead where I had a delicious pecan pie ice cream treat. After that Tom and I decided we had to try a burger while we were there since neither of us had ever tried a Shake Shack burger, so we got one and split it. See why I’m gaining so much weight this pregnancy? Yikes. 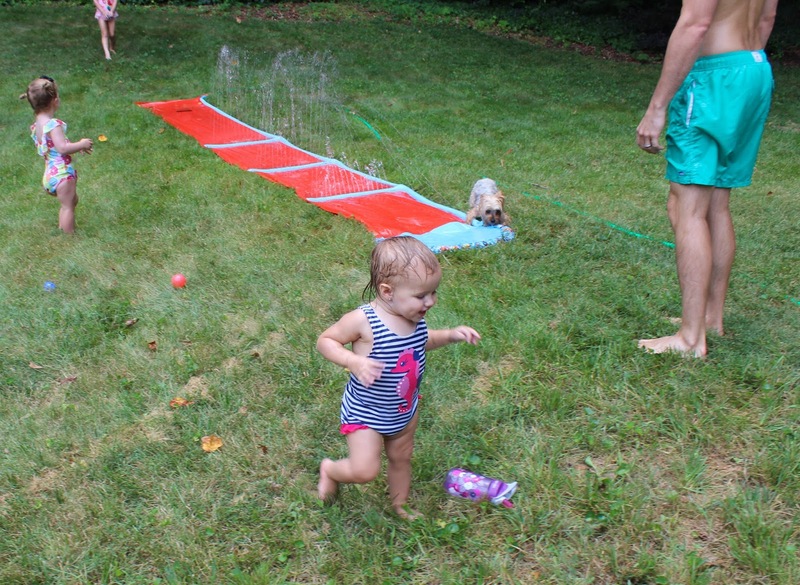 Sunday we babysat two sweet girls for the day (and were dogsitting a sweet yorkie for the weekend) so we decided to turn our backyard into a fun zone with a slip n’ slide and kiddie pool, and order pizza. Tom really loved the slip n’ slide, MG and I really loved the pizza. And now Monday we meet again. We are going to have a crazy busy week but this weekend we are headed to Savannah for one of my best friend’s weddings which I am super excited about! What’s getting you through the week? It looks like you had a fun weekend! The first picture is too cute. Hope you have a great time in Savannah! This week is busy for us, too. My oldest has science camp every morning, my youngest son has therapy three times this week, my two big kids have theater group, and I'm babysitting my niece all day everyday. Looking forward to the weekend! Ahhhh that's a lot! Weekends are the best aren't they? 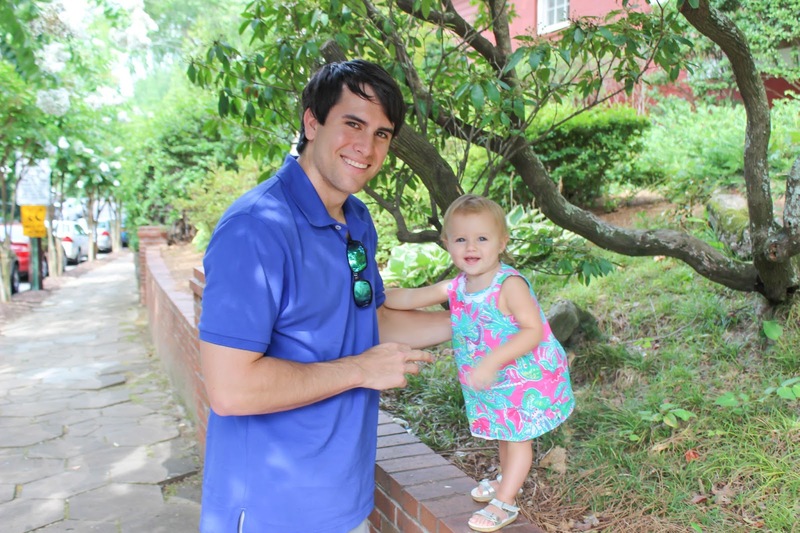 That first picture of you two is so adorable! Thank you!! That sounds so fun! Yes, when it comes to house projects, EVERY little bit counts!! 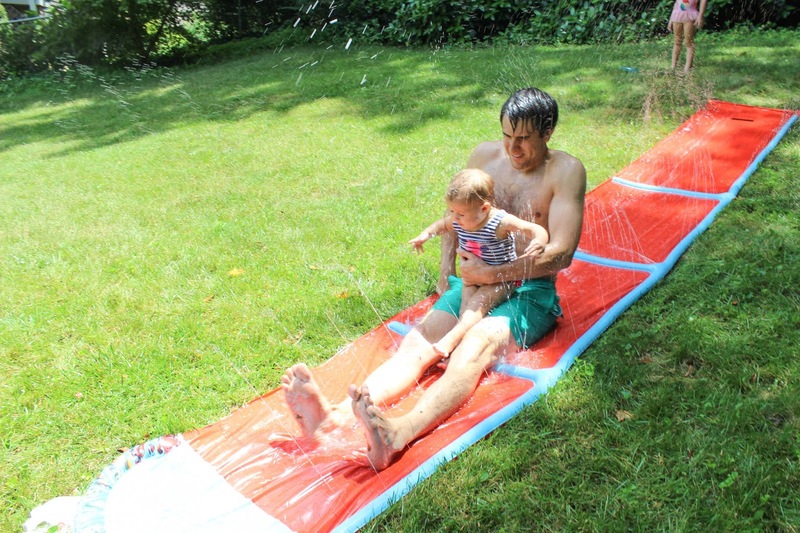 The slip and slide looks perfect for a hot Summer Saturday! I used to love doing that when I was a kid! Haha it was SO fun, definitely brought back childhood memories! How much fun! Great photos. And Shake Shack is AWESOME. Looks like such a fun weekend and I'm so jealous of your Savannah trip. It's one of my favorite places! What a fun weekend! I haven't' been on a slip n slide in AGES.